Pioneer DEH4900DAB - Car stereo with DAB/DAB+/RDS tuner, multicolour illumination, USB and Aux-In. I bought this unit which has preamp outputs which was important as I have upgraded my speakers and want to use an external high power amplifier.However I was very disappointed to discover that audio for the blue tooth audio for the telephone does not appear on the pre-ouputs! This means I cannot hear incoming phone calls. It seems the only way to do this is to fit an extra speaker wired to the unit's internal amplifier. Not only is this inconvenient but it means extra expense and not having the quality of the telephone audio through the main system, but through a tiny speaker hidden away behind the dashboard instead. I really cannot understand why pioneer have done this, it doesn't make sense for anybody wanting to use an external amplifier and bluetooth hands free. Very poor design. Note: The car is an R50, 2003 Mini. Car you tell me if this unit is mechanically installed using 4 screws, screwed in from the front i.e. standard mini installation. Thank you. For installation you will need the below listed fascia plate which is screwed down using 4 screws. then the cage is locked into the fascia. Hope this helps if not contact your local store. What face plate, wiring harness, and other parts do I need to get the basic Bluetooth, USB, CD, radio functionality out of this for my 2000 BMW 5.23i? To fit the DEH-4800BT please see the fitting kit below. To fit the DEH-4800Bt to your 206 you will need the following parts. You will need the following parts for your Ford C-Max. 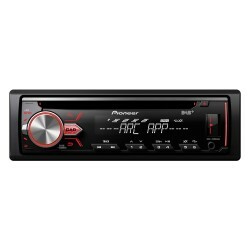 Can this stereo be fitted into a Toyota Prius 2005. If it can how much would it cost to your company to install it? The DEH-4800BT can be installed in your Toyota Prius. Contact your local store for installation cost. Would this fit a Nissan Micra 2003 ?? This can be installed in your Nissan Micra. You will need the following harness adapter. You will need extra parts for installation. All parts are listed below. Will this fit a 56 plate peugeot 207 and could you list all the extras i'd need? Can i change the date & time and access the trip computer with this unit too? Or will i need extra parts? 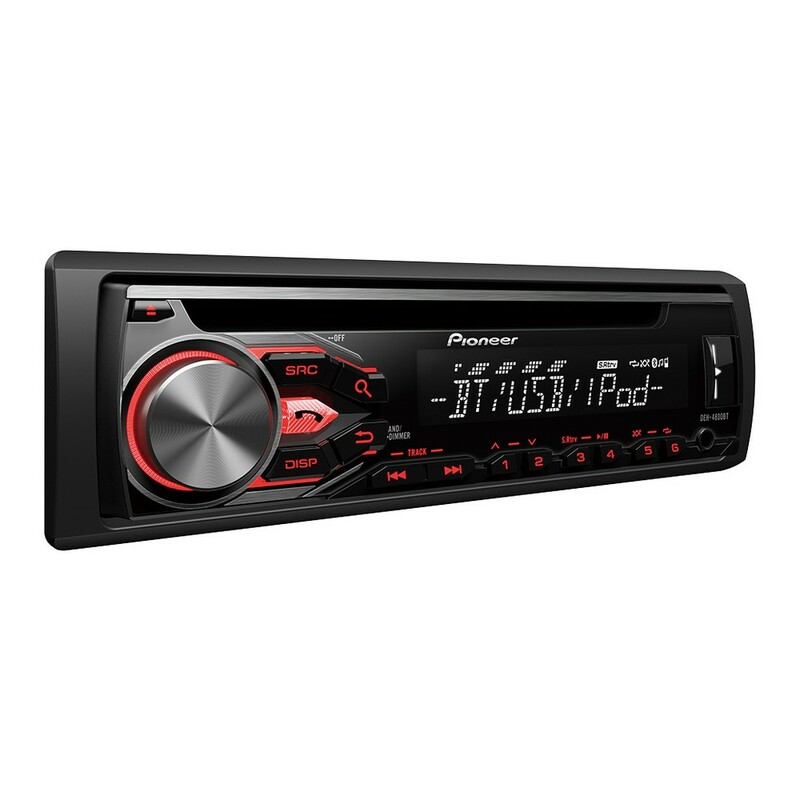 The Pioneer DEH-4800bt can be installed in your Peugeot 207. You will need the following parts to retain the on board computer and the steering controls.